Debt-to-income ratio is financially crucial and you’ve to figure it out. Most especially if you want to take out a loan. Lenders are often strict with the DTI ratio. To get your loan approved, maintain a low DTI ratio. If yours is high, this article will teach how to lower it so that you can achieve your goals. Let’s discuss how to calculate your debt-to-income ratio. Most lenders agree to an ideal DTI ratio. For them, an ideal front-end ratio should be 28% or lower. And the back-end ratio –which includes all expenses-, should not be above 36%. Nevertheless, lenders may accept higher ratios as often it depends on your credit score, assets, savings, down payment, and the type of loan. How to get your debt to income ratio? To obtain your DTI ratio, sum up your monthly loan payments and divide it by your monthly gross income. The result is expressed in percentage. Add up your monthly mortgage payment, minimum credit card payment, auto loans, personal loans, payday loans, monthly child support payments, and other debt payments on your credit report. Divide the answer by your monthly gross income. Your monthly gross income is your take-home pay, before taxes and other monthly deductions. Convert the figure you’ve got into a percentage. That’s your DTI ratio. Note that your monthly bills and financial obligations are not required. Don’t include utilities, groceries, insurance premiums, healthcare expenses, or daycare in the calculation because the lender doesn’t need them. You may be qualified for a $350,000 loan but your DTI shows whether you can afford the monthly payment or not. 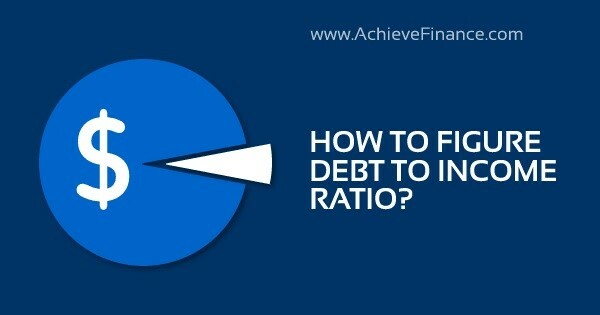 How to calculate the debt-to-income ratio? Be happy, if you obtained a low DTI ratio and be ready to lower it, if you obtained a high one. Your DTI ratio demonstrates the status between your income and debt. Let’s us start the calculation. Take, for instance, Mr. Gideon’s mortgage monthly payment is $2000, his car loan monthly payment is $1000, and other debts he pays monthly cover $1000. DTI = 0.33 X 100% = 33%. So, Mr. Gideon’s debt-to-income ratio is 33%. Using this method, calculate your debt-to-income. If your answer is high, you should read the next section. It’s helpful. The bigger the debt you pay monthly, the higher your debt-to-income ratio. The bigger your monthly gross income, the lower your debt-to-income ratio. Let’s proceed to the next section. How to lower your debt-to-income ratio? So, you’ve calculated your DTI ratio but it’s high. Don’t worry. You can lower your debt-to-income ratio as it’s explained below. Maintain a Low Budget: Develop a low budget. Do not make unnecessary purchases. Monitor your spending. Stock up money to pay down your debt. If you continue on a huge budget, you’ll find it difficult to reduce your DTI. The more your debt, the more the debt-to-income ratio. Set up a Debt Payment Plan: There are two payment plans for a debt. One is the snowball method and the other is the avalanche method (also known as ladder method). With a snowball plan, you pay down your small credit balance at first, and then you make minimum payments for the rest. Whenever you pay off a small balance, you go for the smaller, then to the next smaller and then on and on till it is cleared. The avalanche method is based on higher interest rates. So, whenever you pay off the highest interest rate, you go for the next highest interest rate, on and on till it is cleared. Ensure you stick to any of the plans you choose. Lower your debt: High-interest credit cards should be lowered. And if you pay your bills on a regular basis with a good financial standing account, this may work. Contact your credit card company. Ask a way to reduce the rate on your plastic. If you don’t have a good financial standing account, this may work for you. Transfer the high-interest balance from your existing card to a new one with lower rates. Here is another option that it also works. Take out a personal loan to consolidate the high-interest debt so that it will become a personal loan with a lower interest rate. 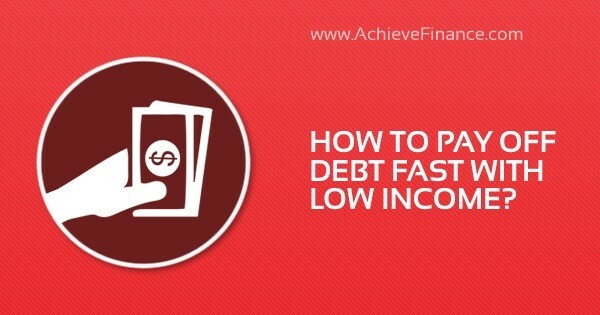 This is how to pay off debt fast with low income. Don’t accumulate more debts: Quit making large purchases on your credit cards. Stop increasing your debt. Taking more loans drives up your DTI ratio and it hurts your credit score. Let your mind focus mainly on clearing your debt, not enlarging your debt. How lenders view your debt-to-income ratio? Often, lenders are strict with debt-to-income ratios and borrowers with a high DTI find it hard to get an approved loan. The DTI requirement varies from one lender to another as each loaner has its debt-to-ratio standards. Creditors like personal loan issuers do not count on the DTIs but mortgage loan providers do. In most cases, the mortgage lenders accept 43% as the highest debt-to-income ratio. However, some personal loan providers offer a loan to borrowers with 50% DTIs or more. 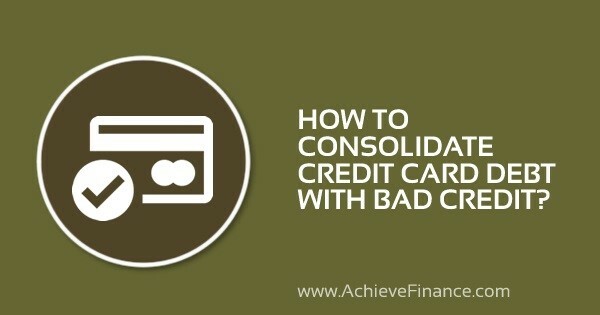 Maintaining a low DTI ratio will help your confidence to negotiate a credit card debt. This article is useful. It’s an article you need if you want to take out a loan to pay off a credit card debt. It shows the reasons why you need to figure out your debt-to-income ratio. It emphasizes how lenders use your debt-to-income ratio to evaluate your ability to afford a loan and above all, it shows you how to lower your debt-to-income ratio, if it is high.